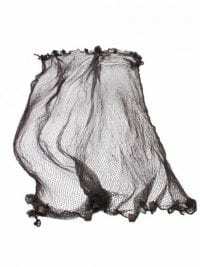 Authentic Fish Trap Net to hire. 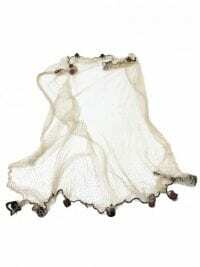 This net is the perfect prop to hire for your themed party or event, whether it's a pirate, seaside or under the sea theme you are trying to create. 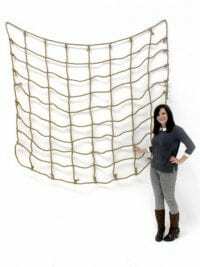 This net is the perfect themed prop to hire for your themed party or event, whether it's a pirate, seaside or under the sea theme you are trying to create. 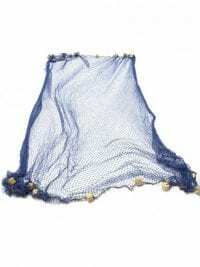 Authentic looking fishing net to hire. 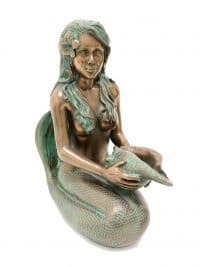 A perfect themed prop to hire for your themed party or event night, whether it's a pirate, seaside or under the sea theme! Make sure you hire some of our Lobsters and Crabs to finish the net off with some authenticity too! 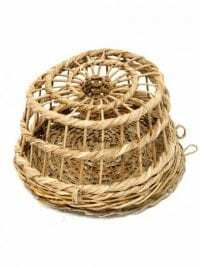 Large Lobster Pot available to hire! These real (but unused!) 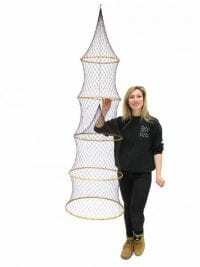 Lobster Pots would look amazing at any Seaside or Nautical themed event! 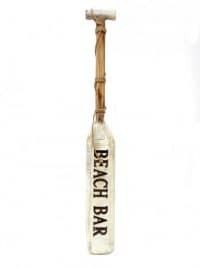 Check out the rest of our Seaside themed props to really bring your themed event alive! 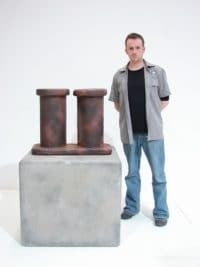 Large Life Ring prop to hire. 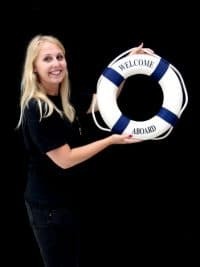 This is a traditional life ring prop that will add a decorative marine touch to your event or party, perfect for room dressing & event theming for Seaside, Caribbean and Beach themed parties or events. We have a smaller life ring under prop code SN3452. 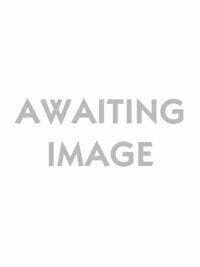 Life Ring prop to hire. 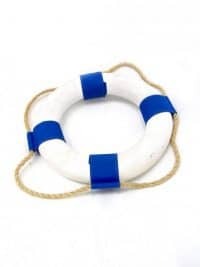 This is a traditional life ring, perfect for room dressing and event theming and would be great for any Travel, Seaside or Beach themed party or event. 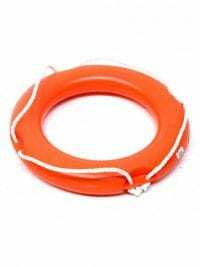 We also have a red version or bigger version of this life ring available (see below). Small Life Ring prop to hire. 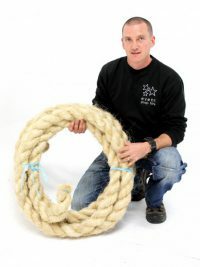 Traditional life ring prop that will add a decorative marine touch to your event or party, perfect for room dressing & event theming for Seaside, Caribbean and Beach themed parties or events. 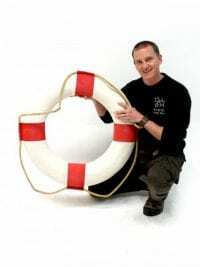 We have a larger lifebuoy under prop code ATS85. We also have a blue version of this life ring. 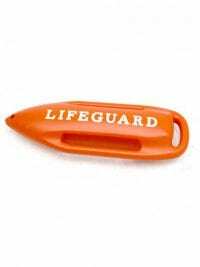 This float would be a perfect accessory for any Seaside, Holiday or of course Baywatch themed party or event. We also have a lifeguard chair for hire (see below). 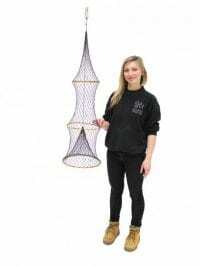 Modern Life Ring prop to hire. This life ring is perfect for room dressing & event theming. Suitable for Seaside, Caribbean and Beach themed party events. Pile of Ship Rigging for hire. This selection of items is perfect to create and authentic look at your pirate or nautical themed event or party. Please note that the component parts of this pile of ships rigging may vary slightly from those shown. 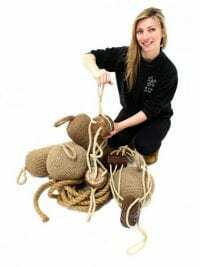 This 60mm thick rope bundle is great quality, perfect for any nautical themed event would look great on the side of a boat or at the beach. 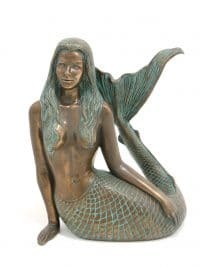 It could also look fabulous in a Caribbean theme or even in a garden. Please note that the rope must not be cut. 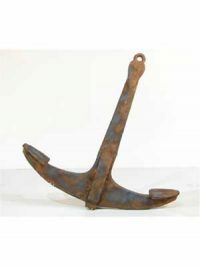 Ship Mooring Block Prop to hire. 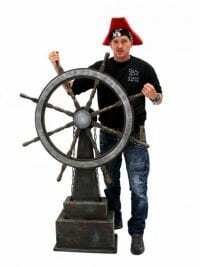 Perfect prop hire for any War, Navy or Cruise ship themed event party! 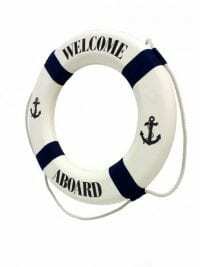 Perfect prop hire for any War, Navy or Cruiseship themed event party! 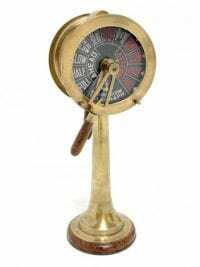 It's full steam ahead for any event that hires this antique brass Ship's Telegraph, adding authenticity to any event or party with a naval theme. 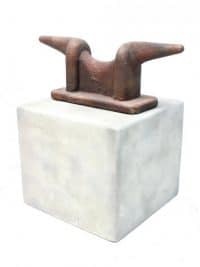 This item was traditionally used to enable crew members to communicate quickly between each other by means of a rapid succession of signals for each letter of the alphabet and for separating words. Nowadays our Ship's Telegraph will be perfect for room dressing & event theming for all manner of themed parties or events. 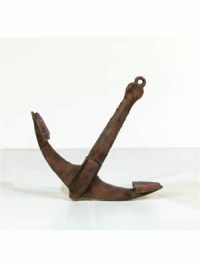 This is a great prop, perfect for a photo at any Nautical or Pirate themed event or party. Please note that we hold several slightly different styles of ship's wheel but all the same as or similar to those pictured. 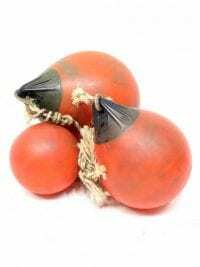 Authentic Shipping Buoy set to hire. These buoys, which come in a set of three, will help bring your nautical themed event to life. Traditional Crab Pot available to hire! These real (but unused!) 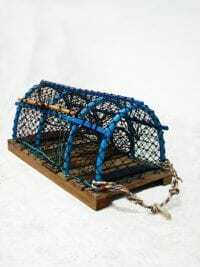 vintage Crab Pots would look amazing at any Seaside or Nautical themed event!